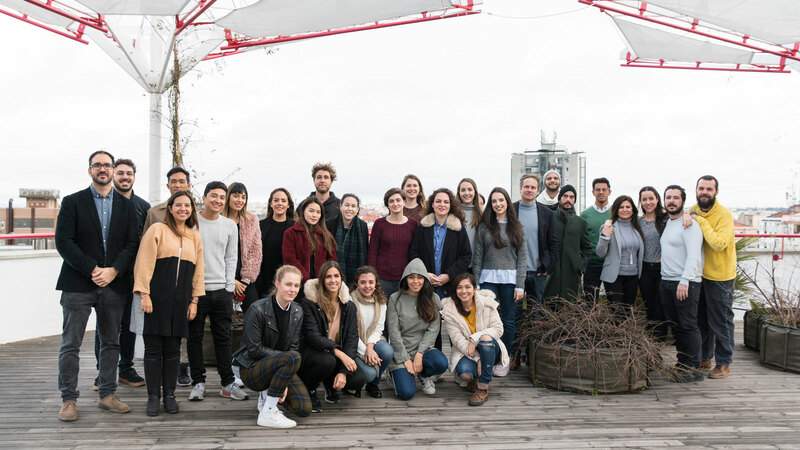 Creatives from different nationalities and disciplines have come to Madrid ready to enjoy a year full of experiences for learning and personal growth with the most innovative programmes at IED Madrid: the Masters of Design and Innovation. The Intro Week workshop, supervised by the creator Lucas Muñoz, is the start of a new edition of the design programmes. An initial introduction to the figure of the designer aimed at understanding design as a concentric element between the person, the community and the context. Every design has been created by an individual, just as every design arises in response to a context and to a community. As future designers, it is essential to have a thorough understanding of each one of the variables – person, community and context – independently and their different possible relationships. The absence of any of these elements will make a design fictitious, incomplete or unreal. During the workshop, the designers have visited different design spaces and exhibitions, and discovered how the city of Madrid gets involved in the creative fabric. Taking advantage of the Madrid Design Festival, students have been able to participate in talks, debates and round tables organized by Lucas Muñoz with professionals from the sector, starting their own networking in the city. A first week in which students have researched, through different creative expressions, their own personality, their classmates and the practice of design, culture and collaborative arts in the capital. A creative exercise introducing students to processes of personal, social and systemic understanding, translating processes into a communicative material.